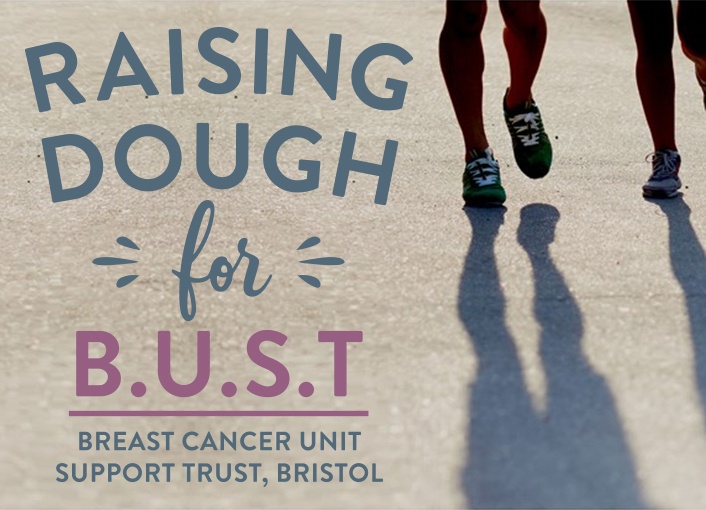 On the 13th of May a small team of us (mostly non-runners) will be taking part in the Bristol 10k to raise money for the Breast Cancer Unit Support Trust at Southmead Hospital in Bristol. We’ve chosen BUST because several people connected to the bakery and family have been effected by breast cancer and received fantastic treatment at Southmead hospital. Raising funds for BUST enables them to buy advanced equipment before it is available through NHS funding.